So after putting the kids to bed, I sat down and made a grocery list for the next morning. Isn't it weird how a little break from something will make you so much more eager to get back into it? I was in such a food rut before I left, but when I made my list last night, it was filled with all sorts of yummy new recipes I want to try, and some old classics we love (see my easy weeknight dinner recipes here). Today's late breakfast was a super delicious yogurt bowl. My stepmom and I first fine-tuned this recipe on New Year's Eve, and I was reticent about the fresh pineapple with the vanilla yogurt, but I have to say it's my favorite part. 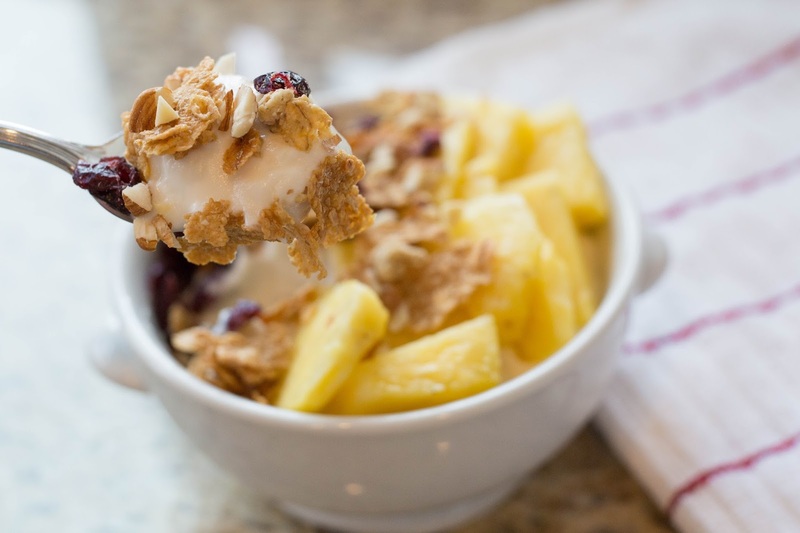 Here's a quick how-to in case you're in the mood for a delicious morning yogurt bowl. This bowl is quick and easy, can be tweaked to fit your mood, is a nice healthier option, and has the most delicious flavor combinations. 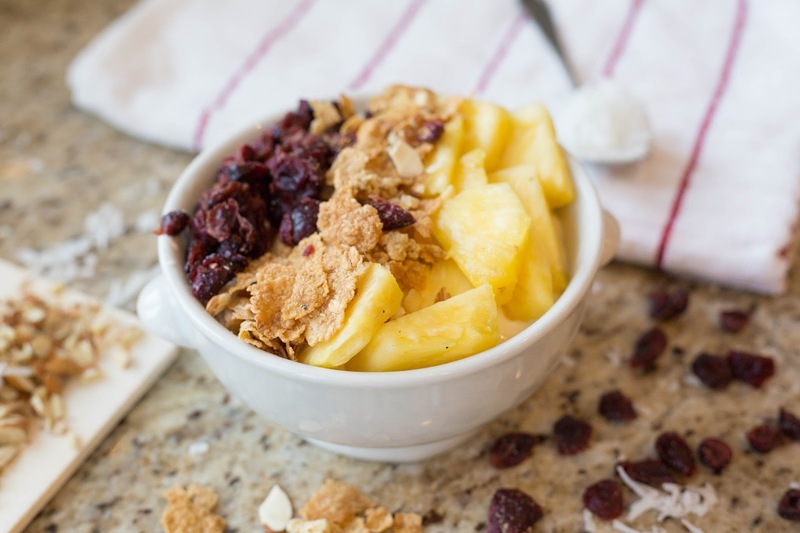 I didn't include exact amounts of any of these ingredients, because the beauty of a homemade yogurt bowl is you can do whatever you want with it! Start with the yogurt (I did about 2 cups and split it with my toddler), and then sprinkle everything on top. I crushed the cereal just a bit before adding it to break up the largest flakes. I am NOT a huge coconut fan, so I left it out, but my brother added coconut to his and totally loved it, so add some of that in there too if you like! 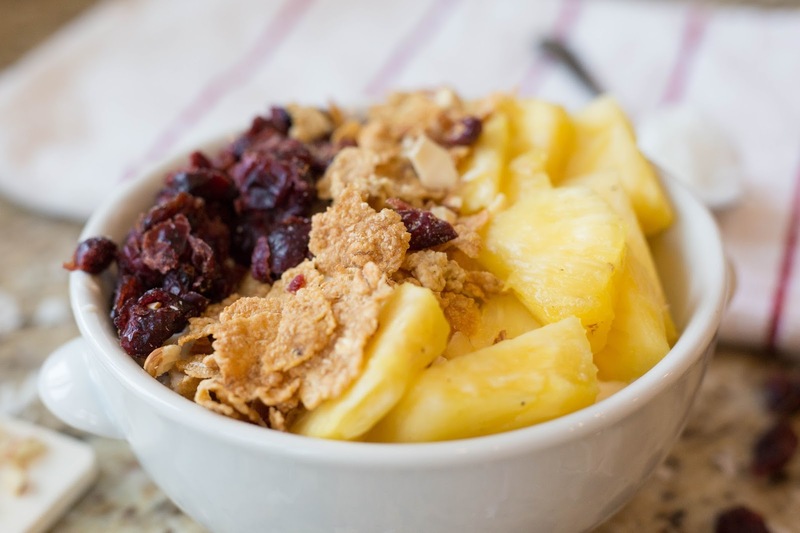 Looking for more breakfast ideas to jumpstart your healthy eating resolutions? 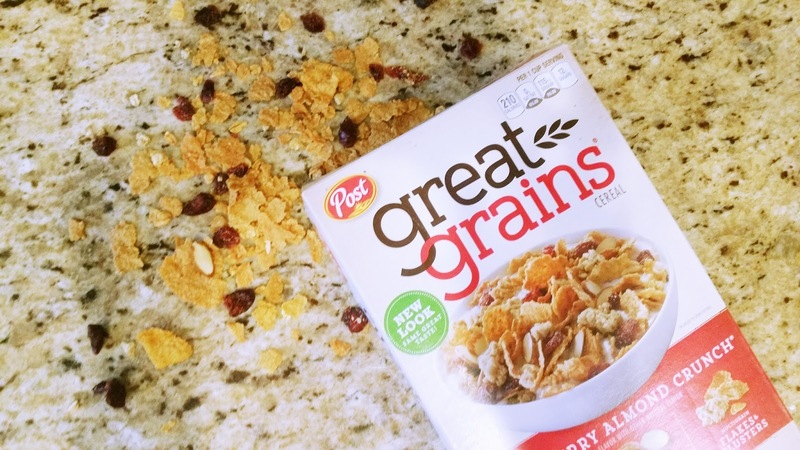 Click here for inspiration and awesome coupons for Post® Great Grains® cereal! 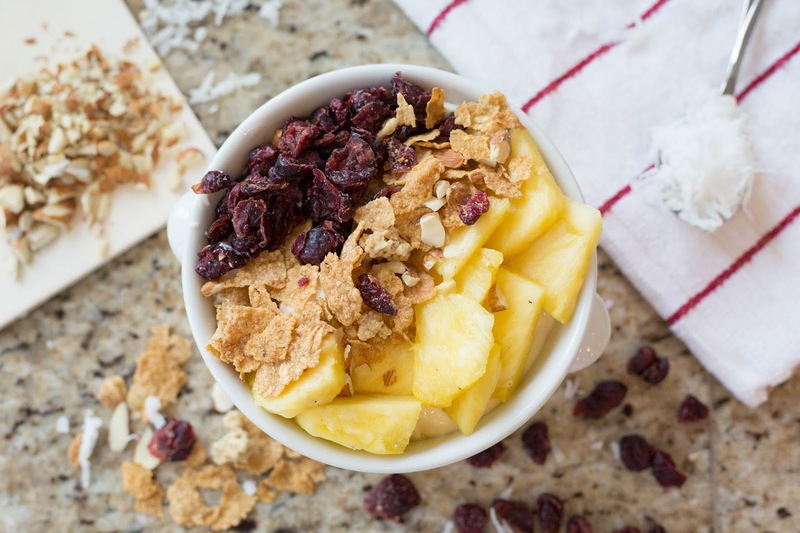 What are your favorite yogurt bowl combinations?